(1) Herself - Clients do want to work with Sue Fleischl. 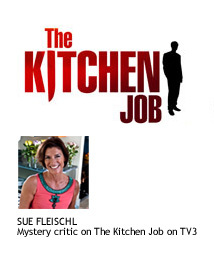 I discovered that she was a mystery critic on a TV show in New Zealand called The Kitchen Job and is quite the celebrity. So modesty aside, I can definite see why clients would want to work with Sue. (2) Personal Touch - Her team balances her out. And Sue specifically does personality tests to ensure that they'll work well with clients (more below on the personality test). (3) All Onsite - Everything that is catered is made at their kitchen with the freshest possible ingredients. *Outsourcing to Learn - Initially, since she never had a formal review performed on her, she hired a consultant to help her conduct reviews. Now she does all the annual reviews herself. She gets much more out of the process and much needed feedback. She sets a new record for TINYhr interviewees by personally doing a whopping 18 reviews! 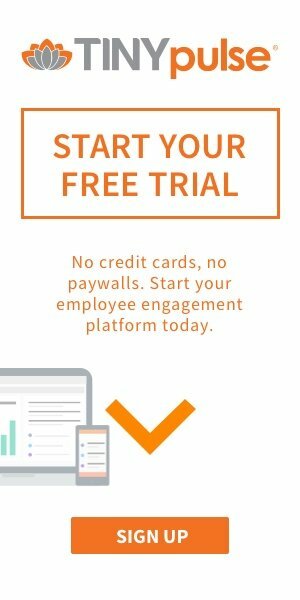 *Right Sized Review Investment - Each employee gets a week to complete the review form first. On average, it takes them about two hour to complete the form. She leverages the form to conduct and dig into the review. They also get a form with their job description. Each employee receives about 15 minutes to rate themselves against the job description on a scale of 1-to-10 based on how well they think they performed. And if they can't complete this form, Sue sits down and peels back the layers to discover underlying issues. But Sue is also selective in how much time she spends with each team member. For example, a driver receives a more casual conversation. But a senior person receives one to three hours. These senior reviews are so emotionally and intellectually draining that she only schedules one per day. Ben Elowitz of Wetpaint also echoes that more time should be invested in the stars who truly move the business. *Separate Performance and Compensation Reviews - Sue doesn't think they should be linked. When people are performing at a high level, she will proactively provide them a raise or bonus. She likes the surprise aspect. Sue definitely dislikes and dispels the notion that a performance review equates to a raise. *Bottoms Up Approach - Sue reviews the more junior folks in the company first before moving up the ladder. She receives an amazing amount of insight regarding how the reviewees' managers are performing which adds to the datapoints she can leverage when reviewing the managers. I really like this approach because I usually just conduct the review for whoever has time first without much thought to the process and how I can learn from the review process. *A New Year / A New Surprise - I've discovered that Sue likes surprises. To this end, she changes her performance review annually to keep people on their toes. But it also yields different insights from the previous years. For example, one year, the review focused on providing her feedback. This included commentary on how well Sue was communicating the vision, goals, and expectations of the company. Another year, the review focused more on peers and included peer-to-peer assessments. 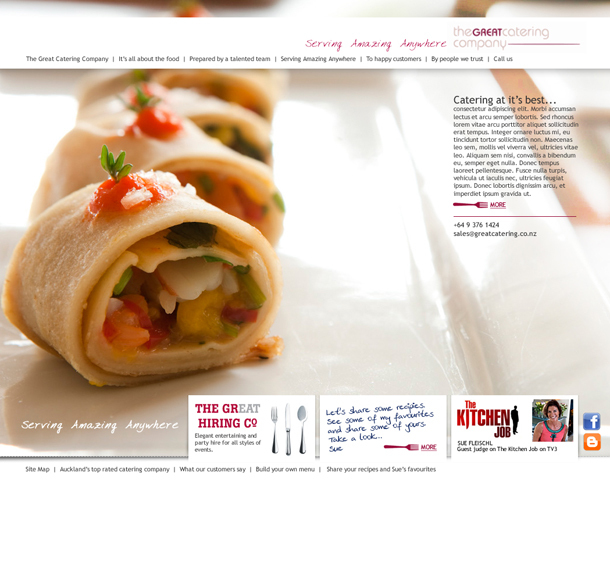 *Open Family Atmosphere - The Great Catering Company does offsite events for team building at least twice a year. They've done events like horseback riding and paintball (Sue was a popular target). Sue never asks people to do anything that she wouldn't do herself like mopping and sweeping. She claims that she's still the faster chopper in the kitchen. Sue doesn't like closed doors because it creates too big a barrier. She likes everyone to sit together with everyone. In fact, everyone calls her "ma." *Personality Tests - When interviewing candidates, The Great Catering Company administers a color profile / personality test from Ragtrade Recruitment. When Sue took the test, she was designated a very strong red and green, which means that she probably intimidates 90% of her staff. She now surrounds herself with softer people to balance her out. Everyone in the company knows what color everyone else is and understands the learnings they get from these profiles. *Conclusion - It's amazing how Sue Fleischl was always taking notes about how things can be improved at the companies she used to work for, yet never thought about starting her own business. But when she did start The Great Catering Company from her kitchen, she wasn't afraid and aimed for the stars by thinking B-I-G. Now she's on TV and is a two time winner of the Lewisham Caterer of the Year Award. It reminds me how important it is to think positive and future-proof your company by envisioning where you want it to be in the future and the steps necessary to get there. Special thanks for Sue providing me some macaroons on Valentine's Day that my wife absolutely loved. Follow @TINYhr on Twitter to get the latest insights and best practices from entrepreneurs as David continues his travels and interviews around-the-world. 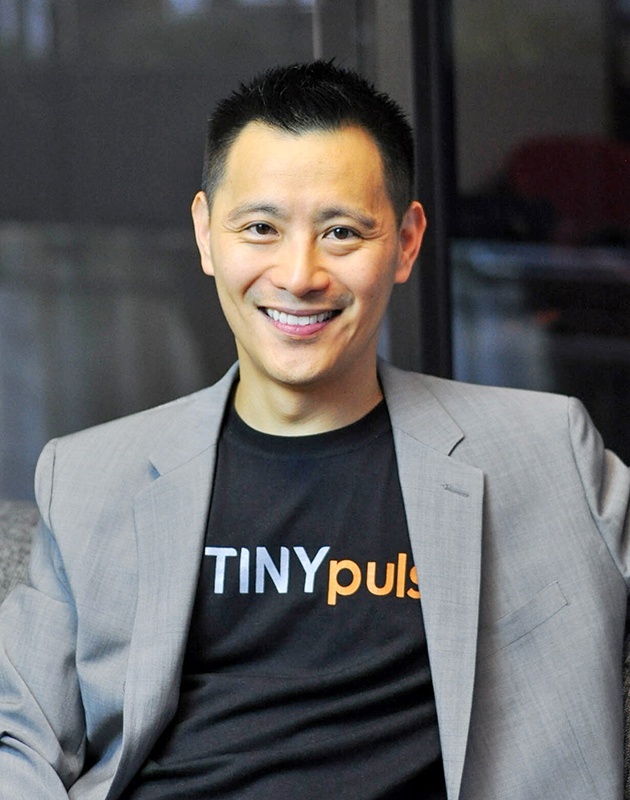 David is the Founder and CEO of TINYpulse. After being burnt out from his previous company, he decided pack up all of his belongings and go on a careercation with his family. Through that journey, he met with numerous leaders around the world that taught him about work culture, employee engagement, and what it takes to be an inspirational leader.